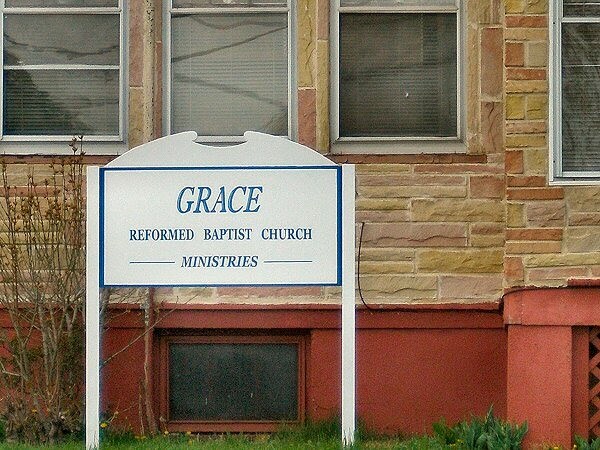 stylos: The Vision (5/6/10): What is a Reformed Baptist Church? 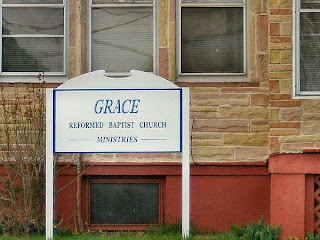 The Vision (5/6/10): What is a Reformed Baptist Church? Note: The Vision is the weekly e-newsletter of Christ Reformed Baptist Church. The article below is from the "Pastoral Reflections" column. To subscribe to the full version of The Vision, email your request to info.crbc@gmail.com. Note: The following article was written by Dr. Robert Spinney while he was an Elder at Grace Baptist Church of Hartsville, Tennessee. He is now on the faculty of Patrick Henry College in Purcellville, Virginia. • That the Southern Baptist Convention affirmed up until the late 1800s. Today's Reformed Baptist churches (like most Baptists before 1870) regard the 1689 London Baptist Confession of Faith as a concise summary of the Bible's main doctrinal teachings. • Soli Deo gloria, or to God alone be all glory. While Reformed Baptist churches have great respect for godly men like Martin Luther, John Calvin, and Jonathan Edwards, they nonetheless are Baptist churches. They believe that although the Old Testament covenant community consisted of the physical offspring of Abraham (and therefore circumcision was administered to all male Hebrew infants), the New Testament covenant community consists of the spiritual offspring of Abraham, or only those who have embraced Jesus Christ by faith and have been born again. Accordingly, we administer baptism only to members of the covenant community- that is, only to those who have been regenerated, converted, and made partakers of the New Covenant. We also differ from Presbyterian churches regarding local church autonomy. Reformed Baptist churches often cooperate with one another and labor together, and even create associations to encourage mutual spiritual health and accountability. However, we locate local church authority in particular local churches and their own ordained elders/pastors, not in a denominational hierarchy or council. Reformed Baptist churches are committed to evangelism and global missionary projects. Some assume (erroneously) that a Reformed church (i.e., one that embraces the total depravity of man, unconditional election, limited atonement, irresistible grace, and perseverance of the saints) will not be committed to fulfilling the Great Commission. Not true! Reformed Baptists are eager to preach the Gospel to every creature, not only because God has commanded that we do so but because we are confident that God will save His people when His Gospel - which is the power of God unto salvation - is proclaimed. Over the past three hundred years, Reformed Baptists have been at the forefront of many of the church's global missionary endeavors. Nicely said...Thanks for a concise and accurate definition.